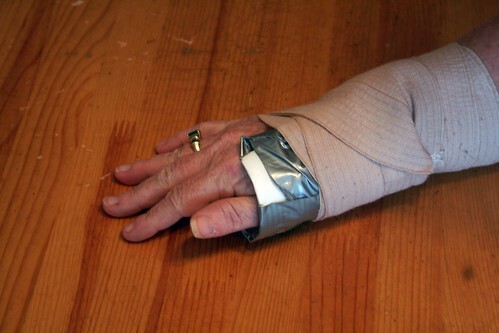 I was thinking today – because when your right hand is out of commission that’s all you can do – about writing a book about all the things you can do with duct tape. 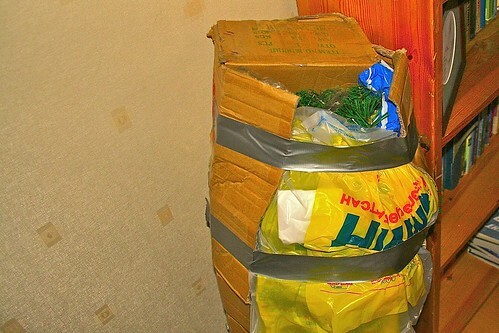 I also thought about making one of those calendars with 365 things to do with duct tape. But about 30 seconds at amazon.com showed me that I was too late. So I have to settle for this little blog, especially since it takes so long to type when you can’t move your wrist. 1. 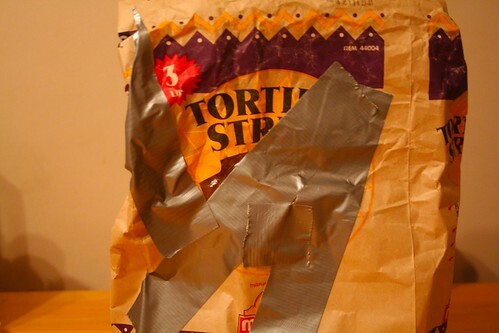 Patching up the hole in the tortilla bag so they don’t go stale after the puppies foiled attempt at junk food. 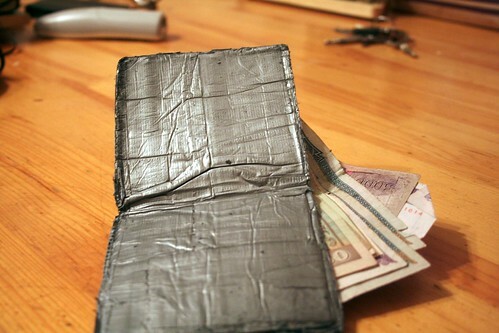 2.Even though you have perfectly good wallets in your drawer, a duct tape wallet is just cool. 3.Getting the Christmas tree back into its original box once the branches have been fluffed out is just darn impossible. 4.And last but not least, what else do you do when you live in a country with no Walgreens or medical supply stores? 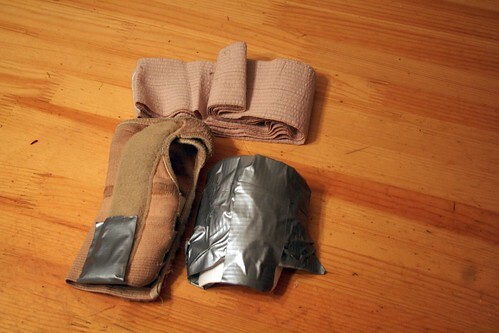 I agree duct tape is almost a necessity. Fotget almost - it IS a necesstity! I hope your wrist heals quickly!